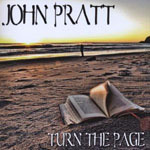 Vocalist and musician John Pratt has been fronting bands most of his life. Starting in San Francisco, then on to Los Angeles, he was a staple of the 80's scene with the critically acclaimed headlining act, Roxbury Drive. Then in the late 90's early 2000's, John released 3 very good melodic rock / AOR albums under the moniker 'Firefly'. Simultaneously, during the last 20 years he embraced the genre of Film and Television music composition. A prolific writer and producer, he has placed thousands of instrumental works in Feature Film and Television and over a hundred songs as well. His voice was the feature voice on well over 75% of those songs. During this time, John kept on writing, produced many artists, and perfected his craft. All the while he composed songs, masters in scope, as he set out to create a sound that would be his own. So what we have is a culmination of John's best work. Many of these songs have sat in the vault for over 20 years (not always a good sign when I read this term, because if it was good enough it wouldn’t be sitting on a shelf since the early 90's). A record label friend of John's heard some of these songs and encouraged him to set the musical wheels in motion. All in all, he has culled 13 songs from his archives, and it was time to go out and re-record them. Forget what I said about leaving songs on the shelf for many a year. In this case Pratt has bucked the trend as he has a great ear for songwriting, and his voice isn't that bad either. None of it is life-changing, but the album soars with its composition - soaring melodies, great harmonies, and the key is John's orchestration and arrangement. The album is strong right from the off, ' Take Me There', right trough to 'Forgive Me' being as solid as a rock. The album wanes slightly through the middle section, but thankfully regains its momentum with the above average 'One Silent Voice'.